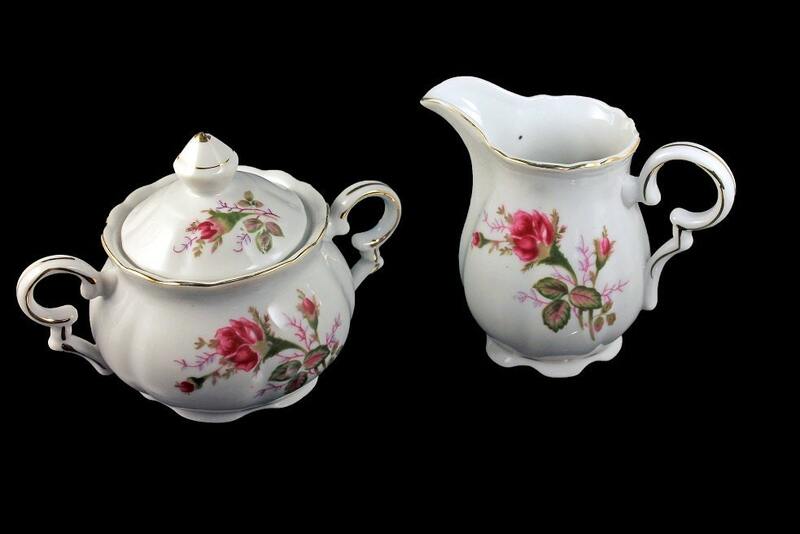 A beautiful sugar bowl and creamer by Royal Sealy. The pattern is called Moss Rose. This is a small but gorgeous set. 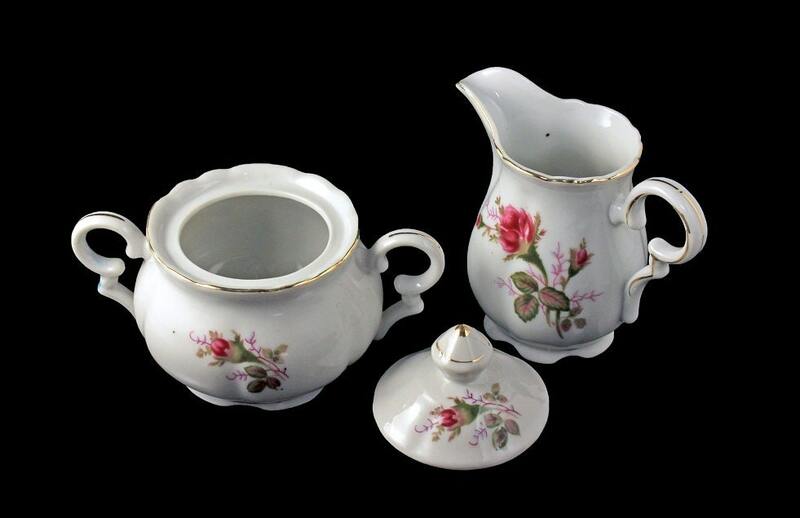 What a wonderful statement this set will make on your table, buffet, or sideboard. They would also make wonderful display or replacement pieces. 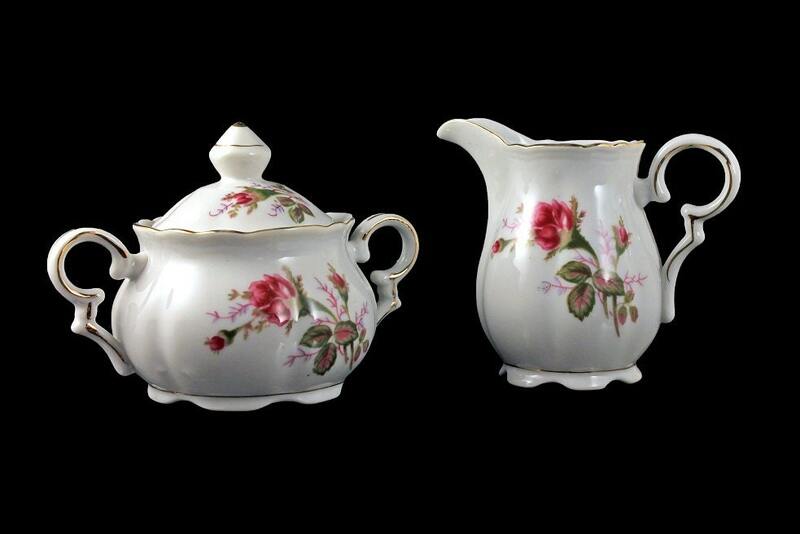 Royal Sealy was a manufacturer known for their highly collectible tea sets made circa. 1940s-1950s. 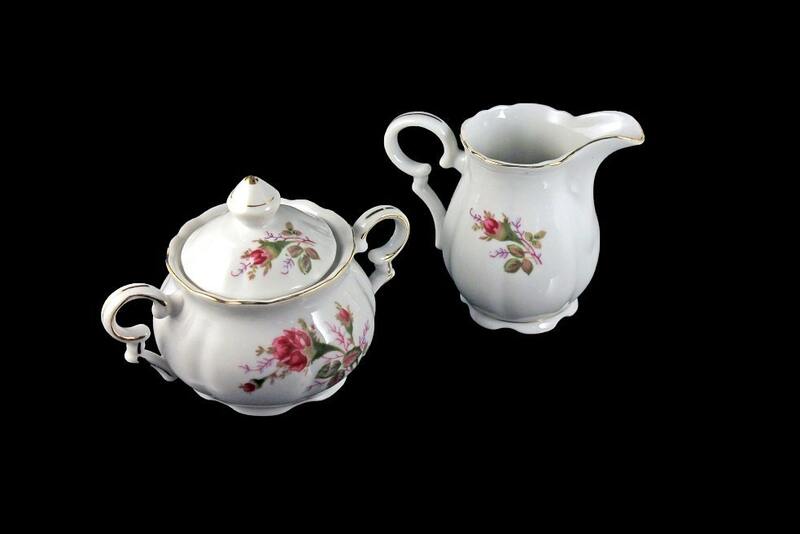 This sugar bowl and creamer are in excellent condition. No chips cracks or crazing. There is very little wear to the gold. 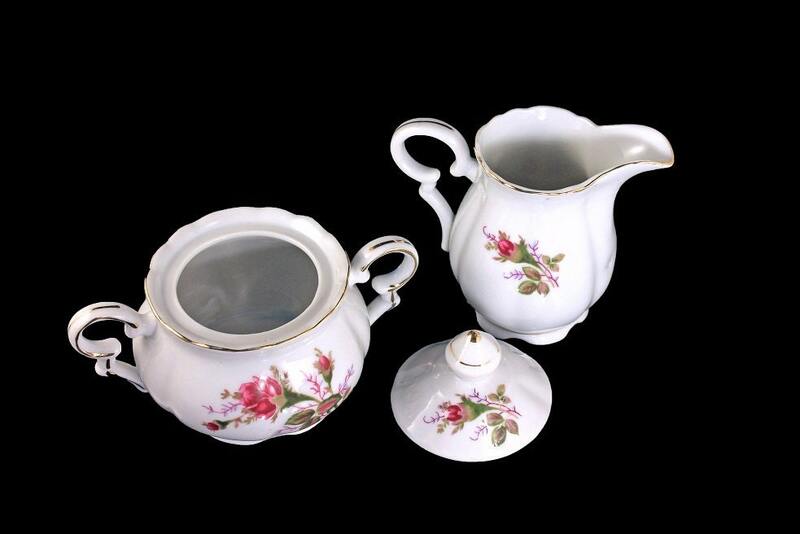 This set would make a great wedding shower, wedding, hostess, or housewarming gift.